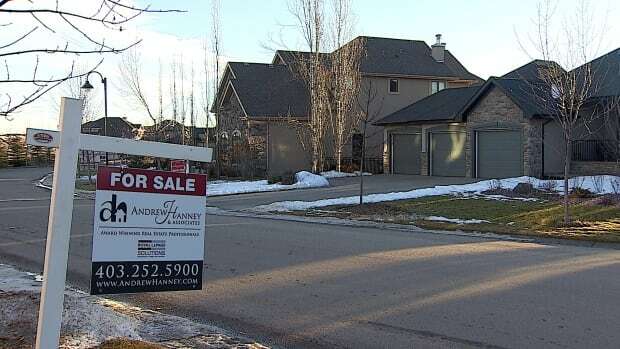 Jingle mail — the act of walking away from an underwater mortgage by mailing your keys back to the bank — is a peculiarity of the Alberta residential market and an act of desperation. However, a combination of high debt and lost jobs make it an option in a province going through a significant economic reckoning. It's enough of a concern that the federal government is watching the Alberta market closely. Jingle mail, or strategic defaults, weaken the housing market and increase loan losses among Canada's banks. People saying that we can't make a go of it and mail the keys to the bank. We're slowly starting to see it in Grande Prairie and Fort Mac. People saying that we can't make a go of it and mail the keys to the bank. In the big cities, not so much because the average sale prices haven't really dropped much, we haven't seen the pain yet. But Calgary is getting pretty tight. Alberta is the only Canadian province to broadly offer non-recourse residential mortgages. Those are loans with at least a 20 per cent down payment and thus are not insured by the Canada Mortgage and Housing Corporation. If you walk away, you lose your home, but otherwise have no personal liability. Elsewhere in Canada, your lender can take you to court and seize other assets, such as RRSPs, vehicles, and even garnishee your wages. Jingle mail was an enormous problem in Alberta in the 1980s, when mortgage rates were hovering around 20 per cent and people began leaving the province to find work elsewhere. It made a rough housing market even worse when banks were forced to sell off abandoned homes at a discount. It also played a role in the U.S. housing crash.